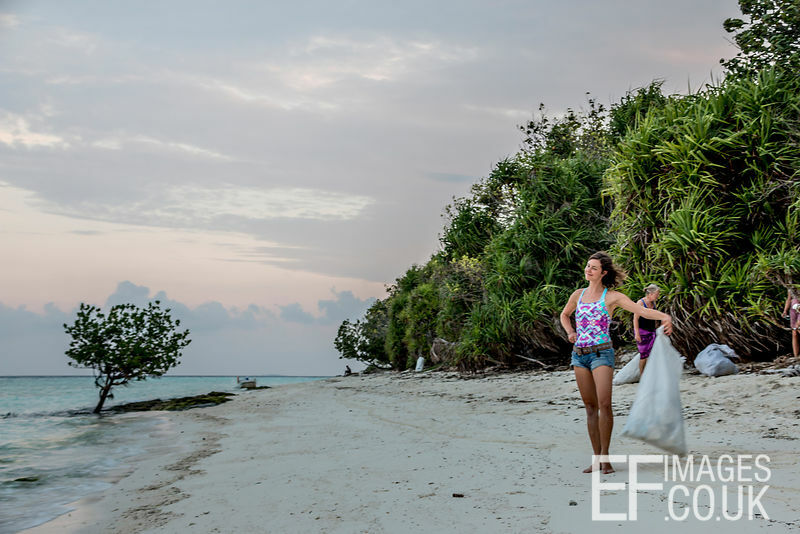 7 months in South East Asia and I didn't see a single plastic trash free beach. 4 months living on a desert island and this became something I couldn't continue to ignore. And I didn't even know the half of it. I was shocked. 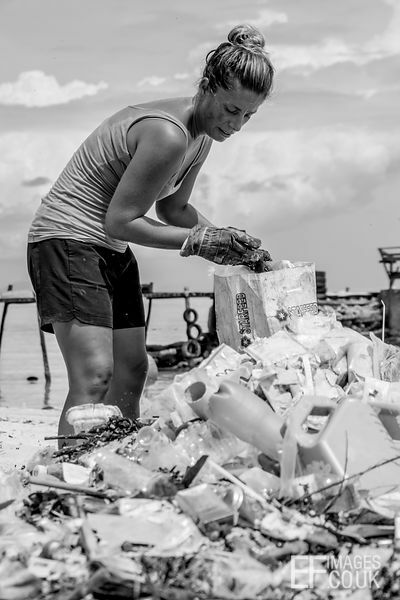 I'd known plastic waste was a problem, but not really thought about it in real terms before. 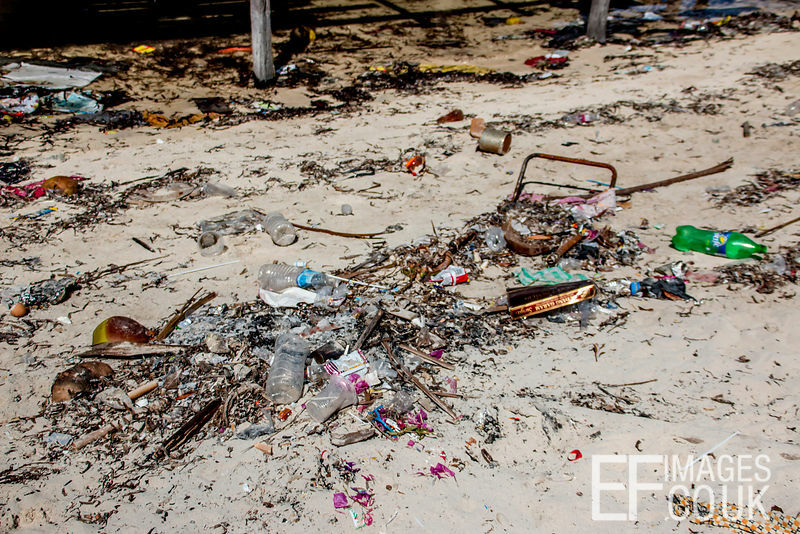 Even when I had seen litter strewn beaches in the past, I'd not thought much beyond that it was unsightly. But the aesthetics of our species' little plastic problem should be the least of our worries. We are threatening our own continued existence on this planet and we all need to wake up and take responsibility for that. I wish to goodness that that last bit was Leftie, Hippy rhetoric. It isn't. There is a LOT of plastic in the ocean. An estimated 8 million metric tons wind up there EACH YEAR according to a University of Georgia study. 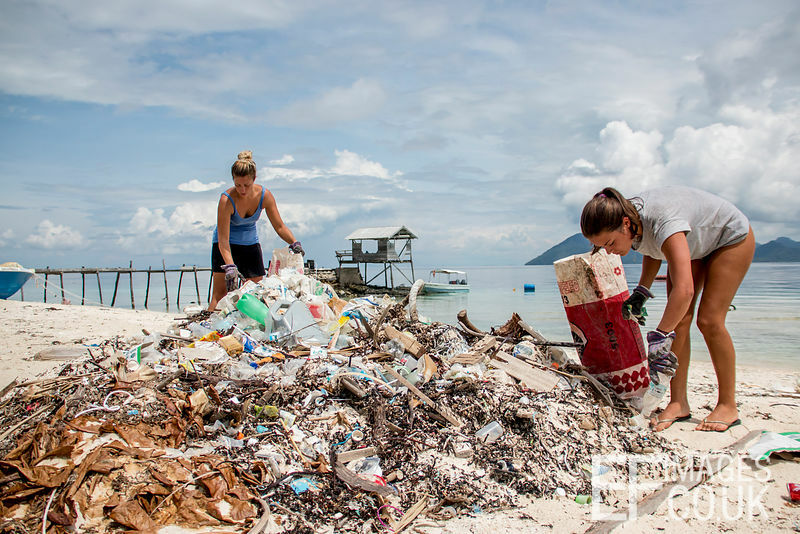 It’s floating around all over the place – it’s actually hard to find a beach in South East Asia without plastic trash on it (believe me, I tried. For 7 months). For that matter it’s not common to find a beach in the UK without plastic trash on it. It’s everywhere. But there are a few places where it’s concentrated in unimaginable amounts by 5 ocean currents called Gyres. 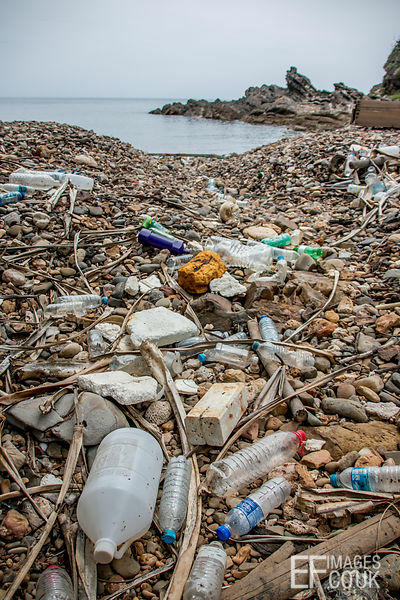 Measurements cited in a review of existing literature by Halden, of the most contaminated regions of the world’s oceans, show that the mass of plastics exceeds that of plankton sixfold. 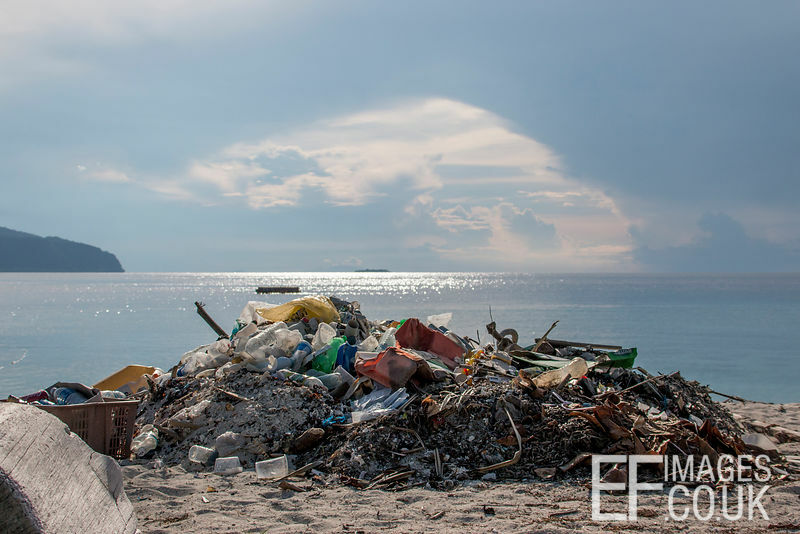 It travels round and round Gyre areas with the currents, which act as a “shredder” speeding up the breakdown process whereby whole pieces of plastic get broken down to tiny particles. These microplastics remain suspended in the water column, slowly dispersing out to, well, everywhere. On their way to everywhere, stuff eats them. If you eat fish or seafood, you can be pretty sure some of those particles are inside you too (see UNEP). Professor Tamara Galloway of Exeter University, quotes research estimating that anyone consuming an average amount of seafood would ingest about 11,000 plastic particles a year. 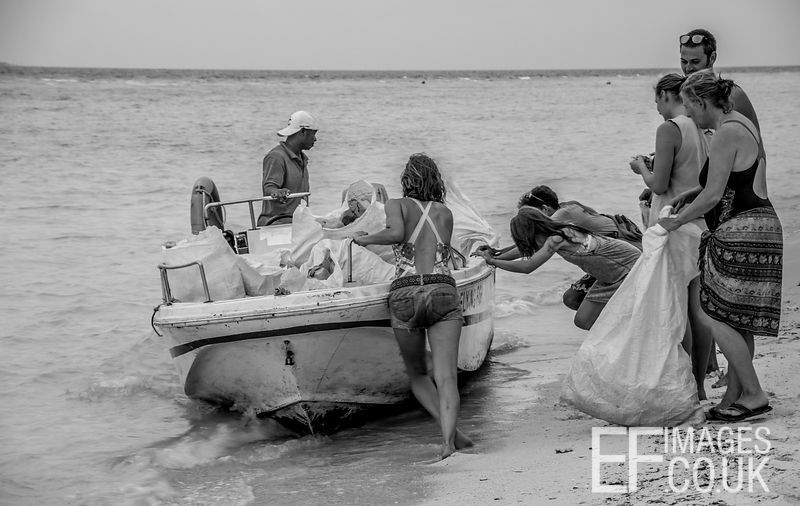 And it isn’t going anywhere – plastic takes a very long time to break down. And as it does, it releases some pretty nasty stuff. 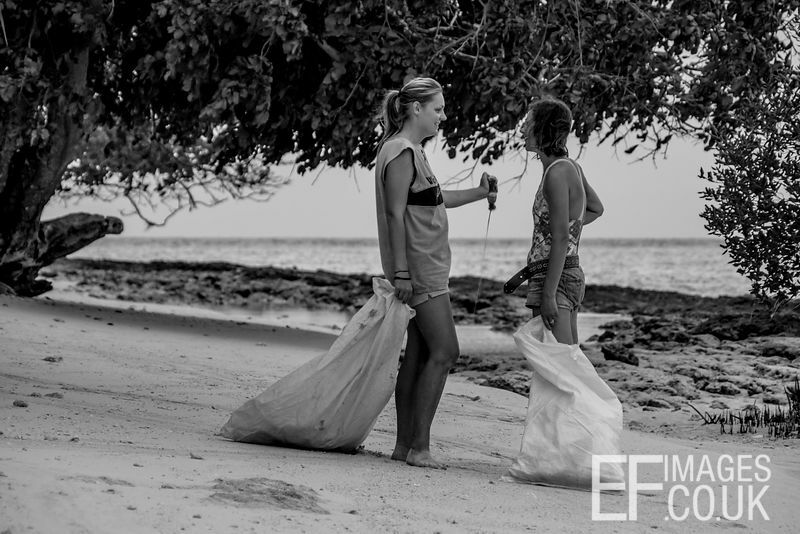 This is how much plastic 2 people collected off a beach on the island of Kapas, Peninsula Malaysia - in 20 minutes. 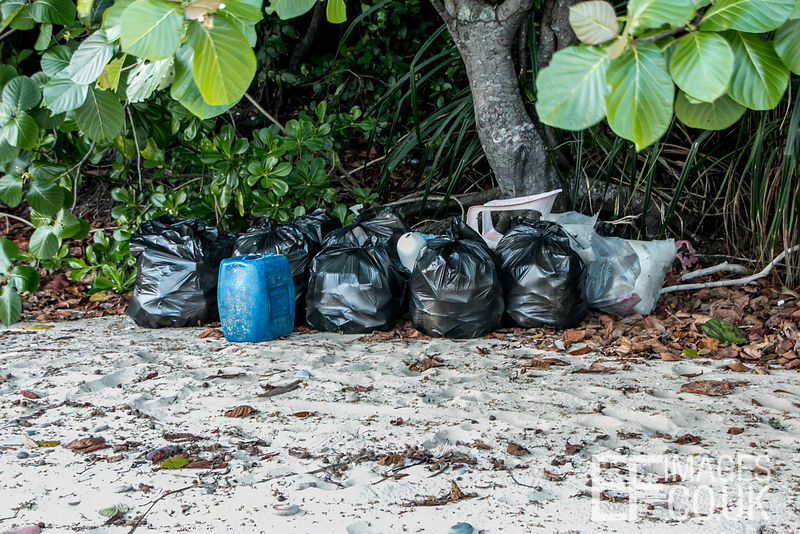 And it was about a 10th of what was strewn across this 300m long beach in total. Bisphenol-A or BPA, and phthalates, which are additives used in the synthesis of plastics, are of most concern in terms of human health. BPA and phthalates (often added to plastics to increase flexibility) are found in bottles, food packaging and many other items. BPA is a heavily cross-linked polymer which takes a long time to break down, so it isn’t considered especially dangerous during the usual shelf life of the items it is used to package. However, its bonds do break down over time. This happens when plastics are repeatedly washed or exposed to heat or other stressors, such as direct sunlight. This releases BPA and phthalates, which are highly toxic and have been recognized since the 1940s as endocrine disrupting chemicals that interfere with normal hormone function in humans. According to Anila Jacob, M.D., M.P.H. who is a senior scientist at the Environmental Working Group, a non-profit research and advocacy organization in Washington, D.C. “It’s an endocrine disruptor and in numerous animal studies it’s been linked to cancer, infertility, obesity and early puberty,” She says that “The CDC has found this chemical in 93 percent of people they have tested” So what do these plastic nasties actually do to humans? Rolf Halden, Associate Professor at the School of Sustainable Engineering at Arizona State University and assistant director of Environmental Biotechnology at the Biodesign Institute, surveyed available literature on the subject and concluded that, despite 50 years of studies, we still don’t have a definitive answer. The reason for this is extremely worrying. He cites the lack of good controls. 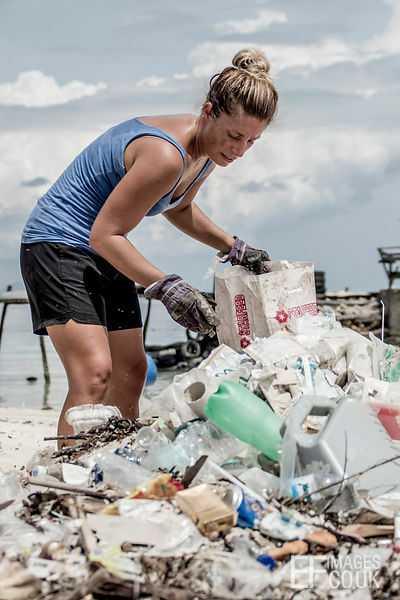 Why is there a lack of good controls to compare with those affected by plastics? Because finding humans that have not been exposed is almost impossible. 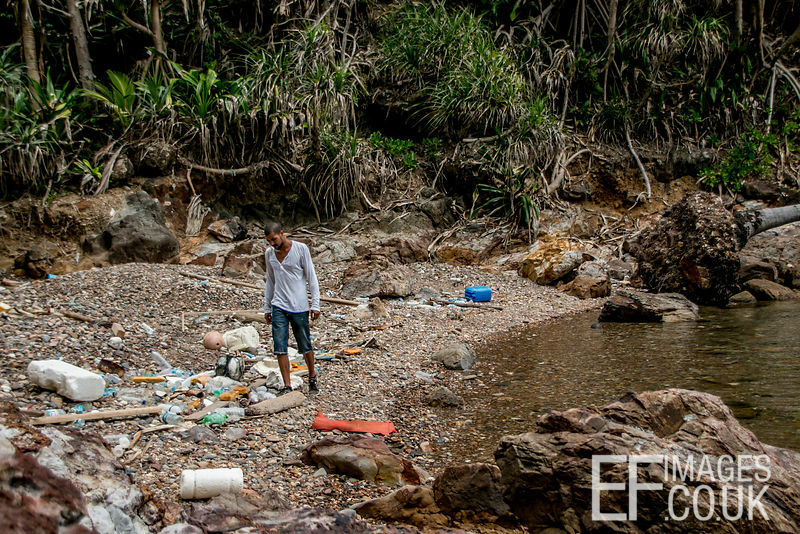 Plastic exposure is a global phenomenon – there simply isn’t an available control group of humans left. Arizona State University reports that plastics and their additives are now inside almost every one of us. Including you. You ingest plastics with the food you eat and the water you drink. If you were to analyse a urine or blood sample from pretty much anyone you know, including yourself, BPAs and phthalates would show up. The roll-on ball from a container of roll-on deodorant. 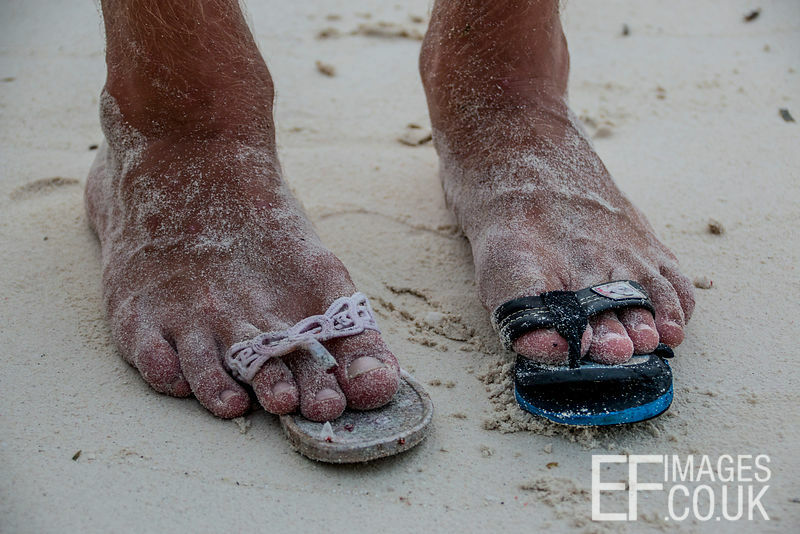 Record for Highest Number of Single Shoes Found In A Square Meter Of Beach On Pom Pom Island, Sabah? 11. In 1 sqm! The EU have banned various phthalates altogether and the USA have banned them for certain uses, because of their known impact on human health. However, all the plastic that has ever been created, including all its phthalates and BPA STILL EXISTS. It’s still here, buried in the ground, floating in the sea, lying scattered across the beaches and car parks of the world, gradually leaking BPAs and phthalates into our environment one toxic drop at a time. 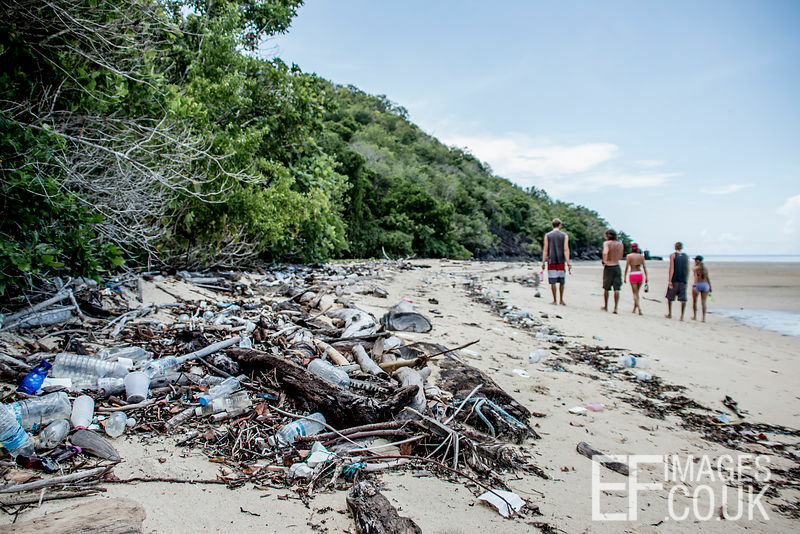 Halden says "We're doomed to live with yesterday's plastic pollution and we are exacerbating the situation with each day of unchanged behavior," "We are at a critical juncture and cannot continue under the modus that has been established. If we're smart, we'll look for replacement materials, so that we don't have this mismatch - good for a minute and contaminating for 10,000 years." 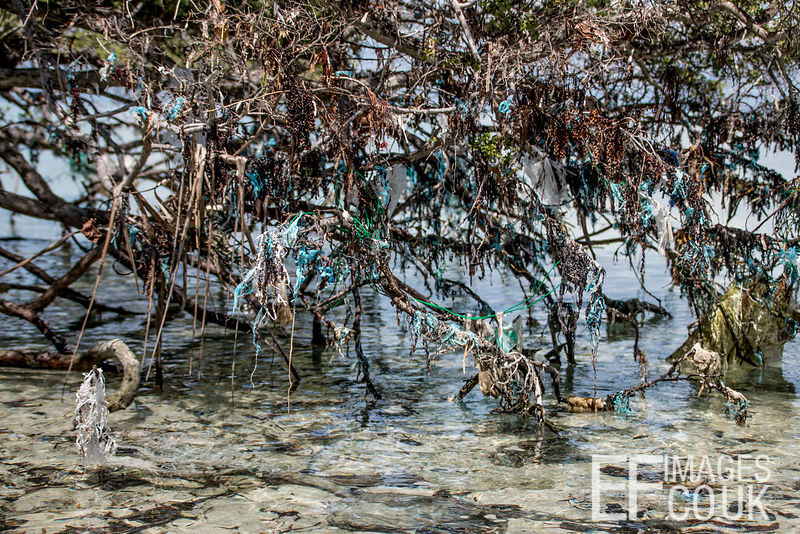 A day or so after any storm, this is a fraction of what washes up on Pom Pom Island, Sabah, Malaysia. 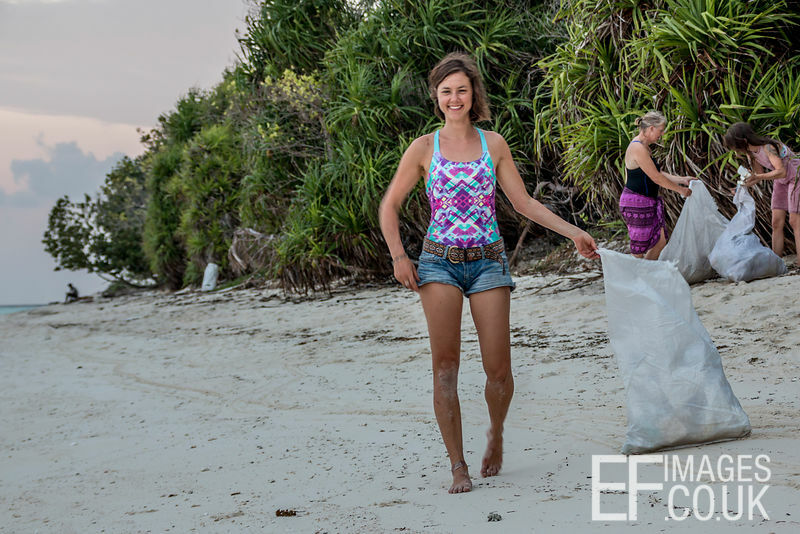 Collecting the plastic trash after a storm is tough because there are so many little bits, you can't pick them out one by one, you have to rake up sand and seaweed to get everything. And even then that's just the stuff that hasn't broken down smaller than our eyes can see. 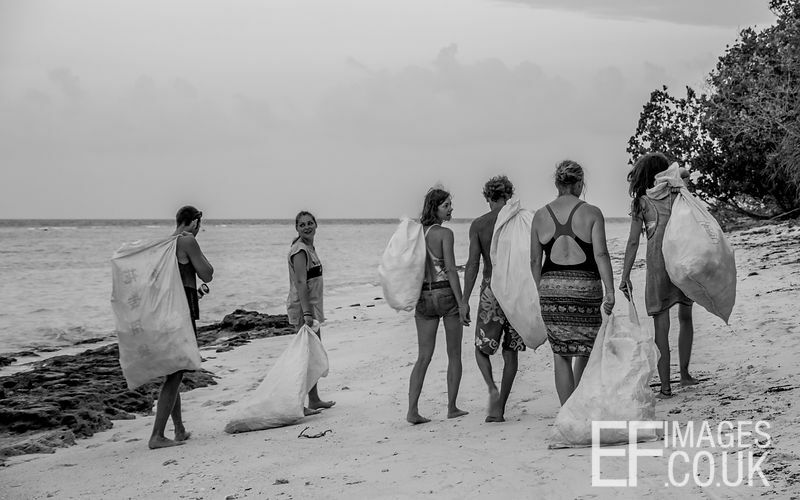 30 minutes of trash collecting on Pom Pom Island, Sabah, Malaysia yields an entire boat load of plastic waste. Current plastic use just isn’t sustainable – the idea that you are condemning anything and anyone that comes into contact with the plastic water bottle you used 10 years ago to toxin exposure, just because you preferred bottled to tap water, should be more of a deterrent than it appears to be. Halden explains thus "Today, there's a complete mismatch between the useful lifespan of the products we consume and their persistence in the environment." 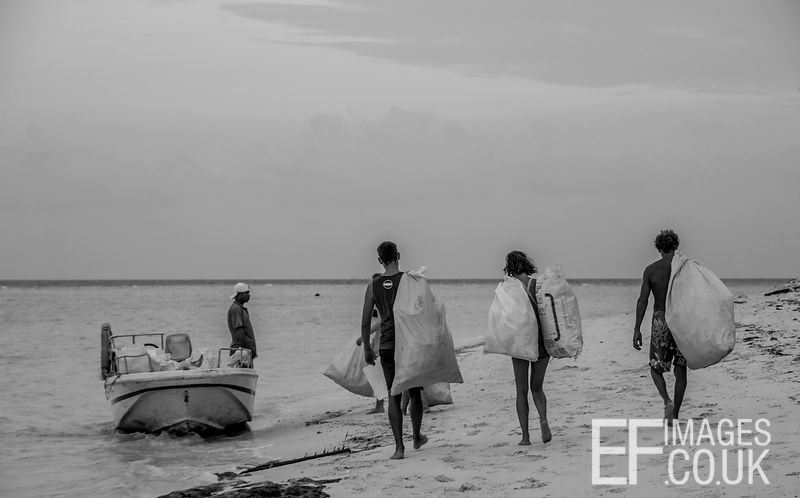 ie consider the 25 minutes your grocery shopping spent in that plastic bag you chose to put it in to carry it home vs the potentially immeasurable time that the microplastics that plastic bag will break down into in a few years will be in existence, causing harm. What seems sensible? Use the plastic bag? Or don’t use the plastic bag? There are bamboo, linen, paper etc options that work just the same and can be reused. Wednesday evening trash collection time. 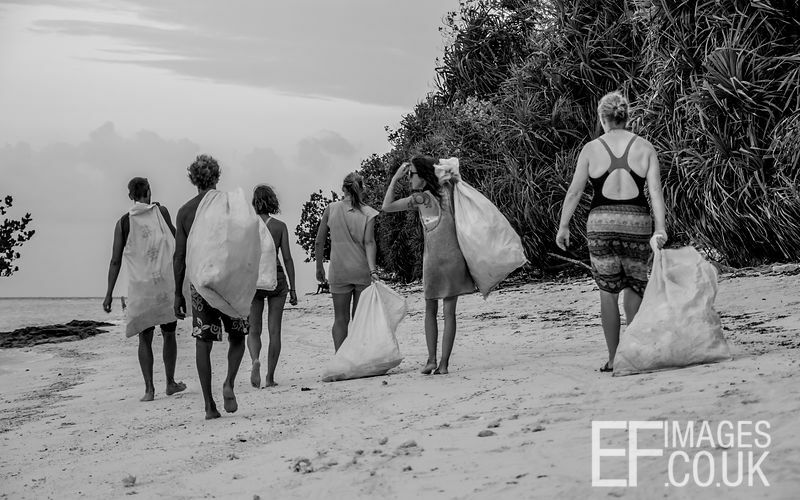 This group of people take a boat round to various of Pom Pom Island's beaches every Wednesday evening and pick up as much plastic as they can carry. 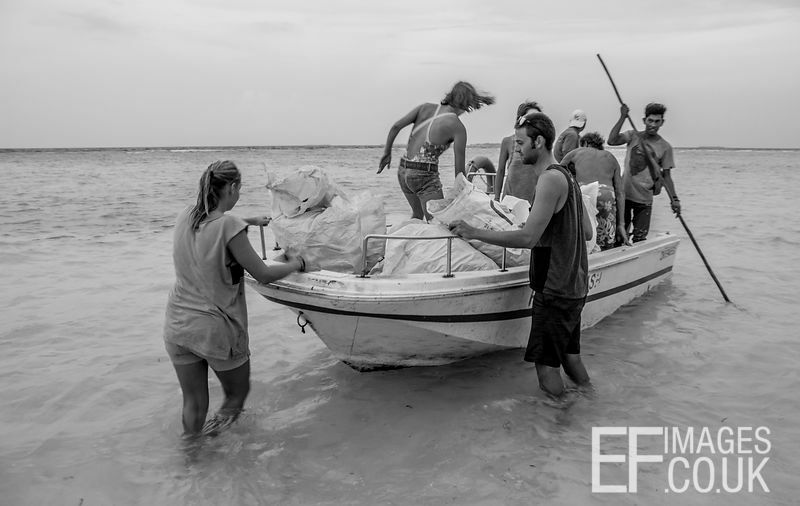 They take it all back to camp, sort it and ship it to the mainland to be recycled. Every week there's more to pick up. It's relentless. 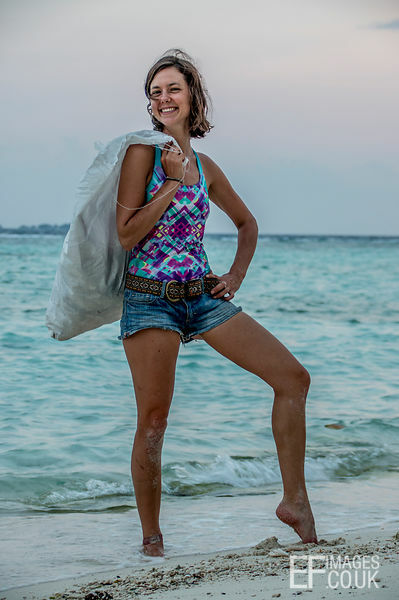 One thing I found particularly interesting was the changes that people who have studied plastics in the marine environment in a professional capacity have made to their lifestyle – for me this is important: BBC Science editor David Shukman questioned Professor Tamara Galloway of Exeter University, who studies the effects of microplastics on the marine environment, on her own plastic use. Her response? 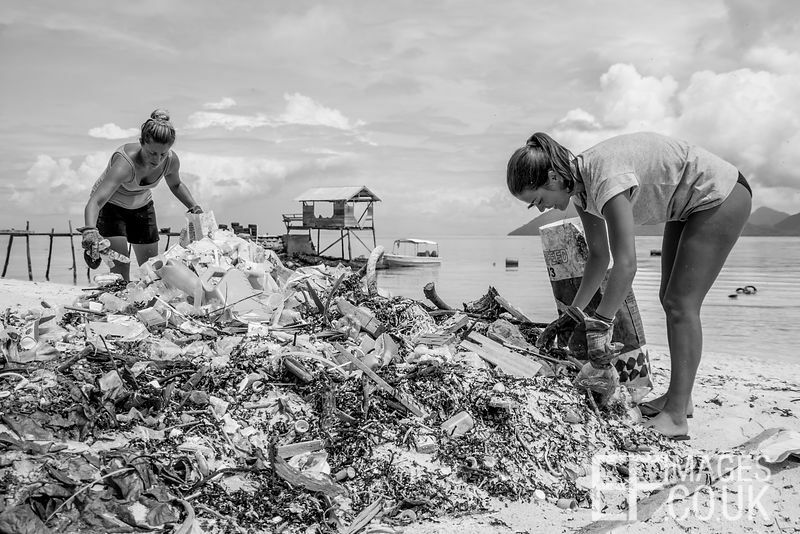 Yes, she and her team are cutting down on seafood and "we don't buy plastic bottles of water and try to avoid plastic wrapping on food". 1. 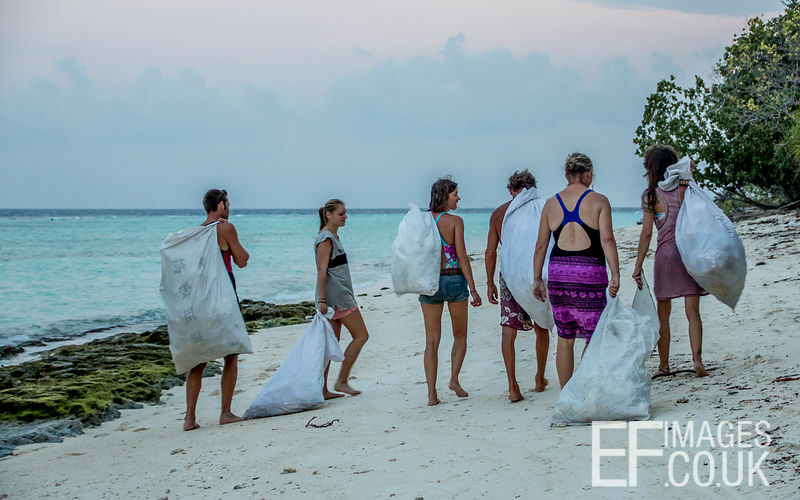 Cutting plastic bags out altogether – You can take a cloth bag or two with you to the supermarket, or anywhere actually, you never know when it’ll be useful. 2. Getting a reusable water bottle. And reusing it. I am not going to explain this, I am just going to assume that you’ve looked at these pictures and it’s bloody obvious. (And yes – I DO judge every single person I see in countries with drinkable tapwater who chooses to buy bottled. You are creating a negative impact on this planet that far outweighs any benefits you may perceive in drinking bottled water. Wake up!! I don’t want a lack of understanding to mean future generations suffer and I’m sure you don’t either). 3. No longer buying skincare products or toothpaste with polypropylene or polyethylene in the ingredients list. 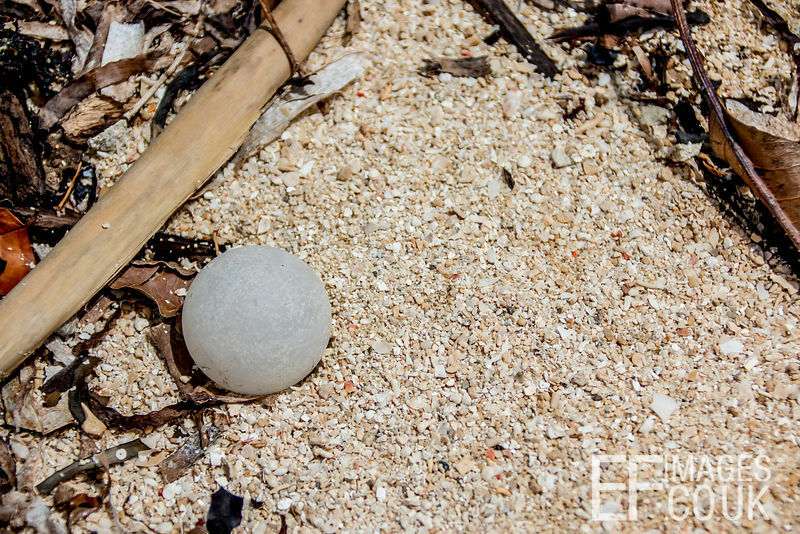 These are microplastics – our water systems can’t filter them out so they end up in the sea, getting eaten. First by tiny organisms, which in turn get eaten by bigger organisms and fish, which in turn get eaten by big fish and pelagic mammals, like dolphins and seals. But also like Cod and Tuna. 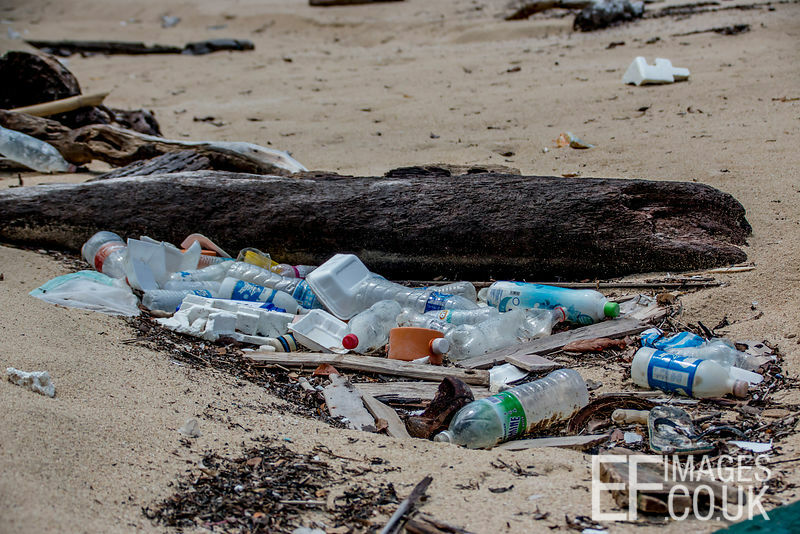 These plastics build up in the food chain and cause big problems for the creatures that ingest them because, obviously, plastic is not digestible. And what are the creatures at the top of the Cod and Tuna food chains? Yup! You got it! That’s us. You and Me. Mmmmm tasty, tasty plastic... It’s also not great stuck under your gums, which is where it ends up if you use toothpastes containing microplastics. 4. Being actively aware of the packaging on food and other products – choosing products that come packaged in cardboard rather than plastic, not buying plastic wrapped fruit – the loose kind is just as good etc. 5 Ditching tampons – Ladies, get yourselves a menstrual cup and quit tampons for good. They involve a LOT of plastic, mainly in the packaging and applicator, but a lot also contain plastics in themselves. And menstrual cups are, well, they’re awesome. And they’ll save you approx USD$100 per year. 6 Quitting plastic drinking straws. They’re basically pointless and very damaging to sea life. 7. Nappies. Don't use non-biodegradable disposables. They cause such bad landfill issues that some local councils in the UK are now offering parents up to £50 cashback on reusable nappy purchases. And a shocking number of them end up in the sea. Picking used nappies off coral is possibly one of my least favourite things ever. 8. Carrying my own coffee cup and ditching the disposables. Even though they look pretty recyclable, almost all “paper” coffee cups from coffee shops are in fact plastic coated and take 20 years+ to break down in landfill, where they release all the nasties from the plastic into the ground. And while we’re on the subject of coffee – step away from the Coffee Pods!! 200 million of the things wind up in landfill every year in the UK, and Australia chucks them away at a rate of 3 million per day!! The City of Hamburg in Germany has banned them because they are so bad for the environment. Go City of Hamburg! You do not need to inflict an extra piece of non-recyclable plastic on the world each time you have a coffee. They are pointless, your life is not better because of them. Get a caffettiere or a mocha. 9. Reconsidering sandwich bags. Do you really need to use them? Reusable options are available, such as tiffin tins, or even Bbagz. 10. Being an Innovator/Early Adopter. This is a marketing term for the people who buy and use a new product first. There are tons of biodegradable innovations being developed to replace plastics – drive demand for them instead of sticking to the old non-biodegradable options. Jeremy Jackson of the Scripps Institution of Oceanography emphasizes that, without profound and prompt changes in human behavior, we will cause a “mass extinction in the oceans with unknown ecological and evolutionary consequences” – use your choices about where you spend your money to do your best to help push us in a different direction. 11. Talking about it. Ask your pregnant friends what nappies they're planning to use - they might not know there are other options than plastic disposables. Wax lyrical on the pointlessness of the straw. Publicly admire those shunning the plastic bag. Sure it's cool at the moment to say we're all in our own little echo chamber. I know my echo chamber isn't noticeably changing it's lifestyle to combat this problem. Is yours? We all need inspiration of some sort to change the way we do things. And a bit of support and maybe even healthy competition doesn't go amiss either. Echo chambers are really rather good for those things. Just cos it's echoey doesn't make it useless.